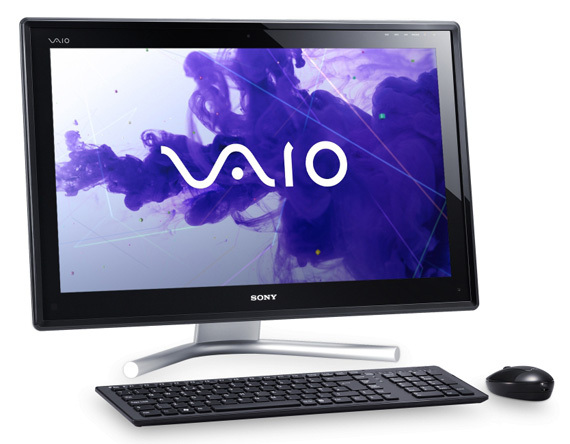 Finding the all-in-one Sony Vaio L Series with a 1TB hard disk isn't as easy as it might have been. The reason you'll need to be keep a keen eye on the specs is, according to Sony, due to a shortage of hard disks – a consequence of the flooding in Thailand. 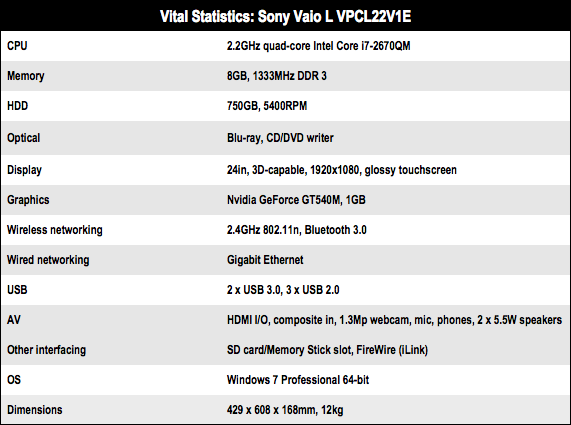 Indeed, the Vaio L series models soon to go on sale on Sony’s web site will only have a 750GB capacity. Although the review sample was equipped with a 1TB drive, all other aspects of the machine remain the same – a 2.2GHz quad-core Intel Core i7 2670QM processor, 8GB RAM, GeForce GT540M graphics card, and 24-inch touch-sensitive, 3D-capable screen with 1920 x 1080 resolution. This costs £1499, but there’s also a boring old 2D model with a Core i5 processor available for £1199. The L Series is neatly designed, with the slimline black panel mounted firmly atop a solid metallic base. 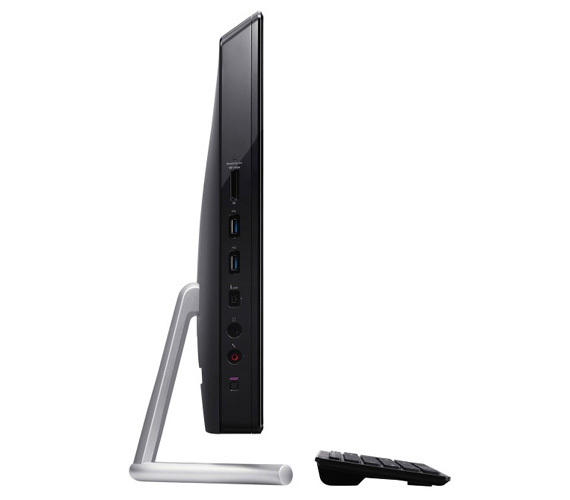 The 24-inch screen provides excellent image quality and the L Series has both HDMI input and output, so you can plug a games console into it, or hook it up to a larger HD TV screen if you want to use its Blu-ray drive to play some films. It’s even got composite video input as well – although personally I’d have preferred a TV tuner instead. Throw in five USB ports – two of which are USB 3.0 – memory card slot, iLink (FireWire) for Sony camcorders, and an above average set of built-in stereo speakers with Dolby Home Theatre 4 enhancements, and you’ve got the makings of an excellent multimedia entertainment system. I even liked Sony’s Vaio Care software, which provides a straightforward set of diagnostic, recovery and update tools. With a quad-core i7 CPU, the L Series is no slouch, however, its overall performance wasn’t quite a strong as I’d expected. In fact, its PC Mark 7 score of 2670 was almost identical to that of Toshiba’s less expensive Qosmio DX730, which has an i5 processor running at 2.4GHz. The key culprit here is probably the choice of a less than zippy 5400rpm hard drive, which would have dragged down the overall benchmark score quite a bit. Graphics performance was a bit better, though. The GeForce GT540M graphics card is by no means top of the range but still managed to run Far Cry 2 at 100fps at my favoured resolution of 1280 x 720 – and that was in 3D mode too, which is quite good fun thanks to the included set of 3D active goggles.